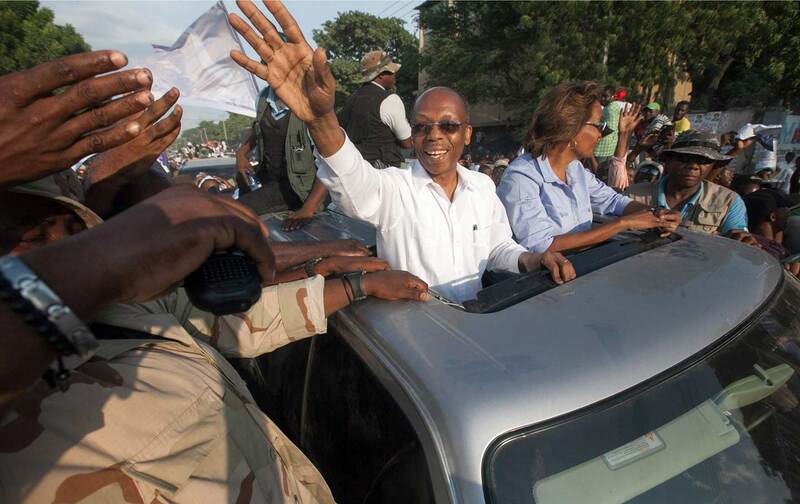 Can Haiti’s Corrupt President Hold On to Power? 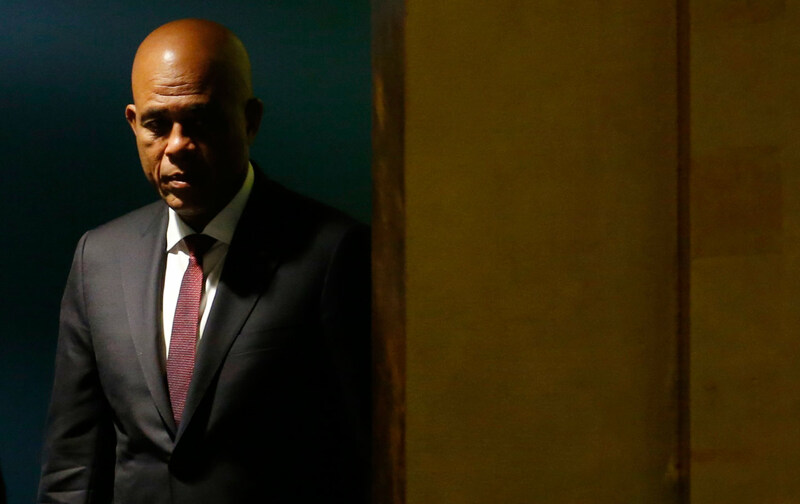 Michel Martelly is trying to impose a successor amid widespread public anger at government repression and failure to rebuild after the earthquake. In another week or so, Haiti could explode, and the disastrous American policy of supporting the country’s violent and corrupt president will be a big part of the reason. Michel Martelly, prevented from continuing in office by term limits, is trying to impose a successor, and the United States has not spoken out against his ruthless, undemocratic strategy. On or after November 3, Haiti will announce the top two finishers in the first election round, held on October 25, and if Martelly’s man is one of them, thousands of enraged citizens will surge into the streets. The United States is already widely blamed here for supporting Martelly, and the ambassador until recently, Pamela White, is singled out bitterly and publicly for her alleged closeness to him. The mainstream US press, which was here en masse after the January 2010 earthquake, is ignoring this latest acute crisis. With few exceptions, the American media have also not reported on the nearly complete failure of the international rebuilding effort, a shameful record for which Bill and Hillary Clinton have considerable responsibility. The Martelly regime’s combination of increasing violence and mega-corruption is clear here in Arcahaie, a simple fishing and farming area some 25 miles up the west coast from Port-au-Prince, the capital. President Martelly is using a dubious legal maneuver to try to grab stretches of the coastline. Local people fear he intends to expel them and build tourist resorts or private estates. They point out that he already owns a home farther up the coast that has been valued at $9 million (and they wonder how he bought it on his $60,000 presidential salary). The US embassy has said nothing about Martelly’s increasing violence, other than issuing vague general appeals for calm. The American refusal to speak out against human rights violations and undemocratic practice has become an established pattern. Elections for the national legislature are years late, and the president has been ruling by decree since January 2014, also without American protest. Haitians also continue to be angry about the failure of the international rebuilding effort after the earthquake. Nearly six years have passed, and the only major changes in Port-au-Prince are the removal of most of the rubble and the disappearance of the tent cities that filled parks and plazas (many of their residents have been moved to a treeless camp north of the city, where opportunities for work are scarce). The cleanup was actually funded by the more than 2 million Haitians who live in the diaspora, mainly in the United States and Canada, who continue to send home the astonishing sum of $1.6 billion a year. One particularly telling failure is that the national Museum of Haitian Art is still closed, six years after the earthquake. Haiti’s bright paintings and innovative sculptures enjoy a worldwide reputation, and there is no reason the best of them should not be back on public display, both to inspire Haitians with their own cultural heritage and to start reviving tourism. Bill Clinton’s Haiti Reconstruction Commission got up to $2.5 billion in aid pledges and Clinton promised to “build back better,” but no one has even organized enough money to restore a modest museum on the central Champs Mars. It is little wonder that Clinton, who basked in publicity after the earthquake, is nowhere to be seen in Haiti these days, and that Hillary Clinton, the secretary of state back then, does not mention Haiti in her campaign. What has recently changed in Port-au-Prince is that the city is festooned with billboards and tens of thousands of campaign posters, nearly all of them promoting candidates who represent the elite. The bright pink, yellow, and green posters make a revealing contrast with the piles of uncollected trash and the potholes in even the major streets. 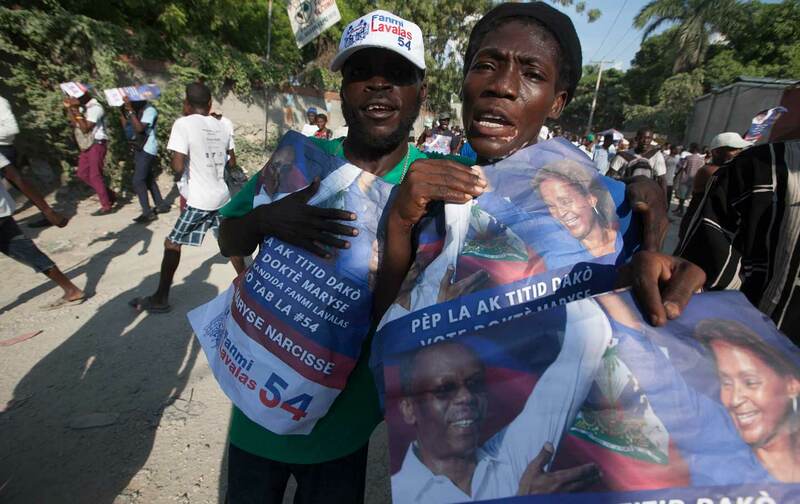 Before the election, President Martelly’s strategy was clear: frighten Haitians into letting his candidate win. His thugs violently disrupted voting in legislative elections back in August. The US embassy said nothing, aside from feeble admonitions. So before the next election round on October 25, several political movements decided that an active boycott was the only constructive step. In the days leading up to the vote, ordinary Haitians were fearful; many left for the countryside, where they felt safer, and others stocked up on provisions and planned to stay in their homes. Meanwhile, president Martelly’s hand-picked candidate, Jovenel Moise, was stumbling badly. His campaign described him as the “Banana Man” (he had managed a plantation), but people hated him for his ties to the president, and they turned the description into one of derision. On election day, the new US ambassador, Peter Mulrean, issued an approving statement with unseemly haste just after the polls opened. Throughout the day, other elite figures echoed his optimistic view, insisting that the turnout was encouraging and the election clean. What I saw was different, and raises considerable doubts. I witnessed open vote-buying at the Lycee Jean-Jacques Dessalines on Avenue Christophe, and I later listened to a young poll-watcher for Narcisse angrily denounce irregular vote-counting procedures in the Christ Roi neighborhood. Even so, as the day continued without the expected government-sanctioned violence, hope started to outweigh fear, and people did come out to vote in larger numbers. The day after the election, another element of Martelly’s election-rigging strategy became clearer. There were 53 different candidates for president, a fact that made giant colorful ballots necessary but which had already raised doubts about how each of the 53 could have amassed 6,000 party members, which was supposed to be the requirement for listing. Each of the 53 parties merited a mandataire, or poll-watcher. Pierre Charles, the owner of a small restaurant and a man with his ear to the ground, told me they had a malign purpose. “It was all a plot,” Charles said. “Nearly all these so-called ‘poll-watchers’ were actually working for the power. They got into the voting places early in the morning, stuffed the ballot boxes, and then opened the doors for the real voters.” Independent radio stations denounced the maneuver. So far, the US embassy has said nothing. 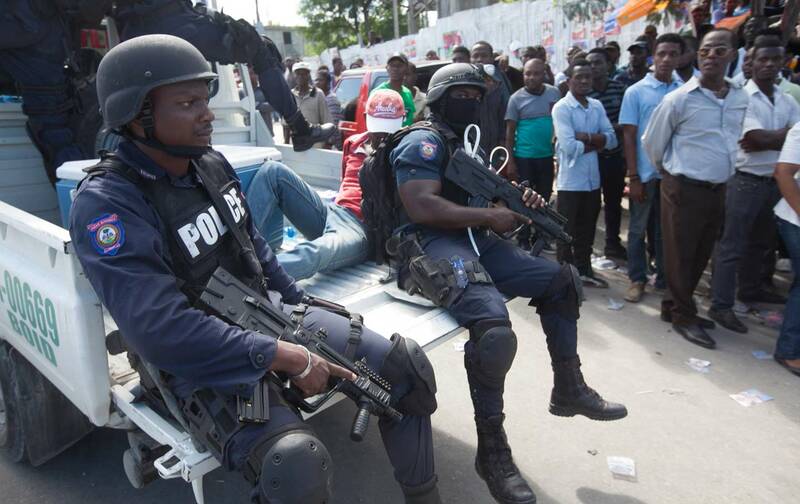 In fairness, much more has gone terribly wrong in Haiti than Michel Martelly. All Haitians know that the international community promised their country several billion dollars after the earthquake, and they can look around and see that little of it actually arrived. They believe the small Haitian elite stole much of the help.